Where is the best place to see the fireworks? Dressed in an emerald green dress from HM and a vintage fake fur cape, I am ready. 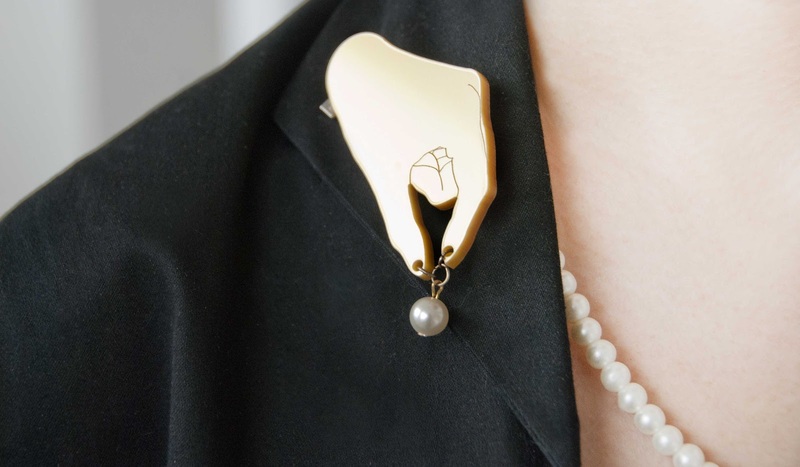 A golden hand with a pearl from Azumi and David sits on the collar of my Vivien Of Holloway bolero. Feeling coquettish with the veiled hat from Collectif. From above, the skirt looks like the big sister of the flower on the hat. 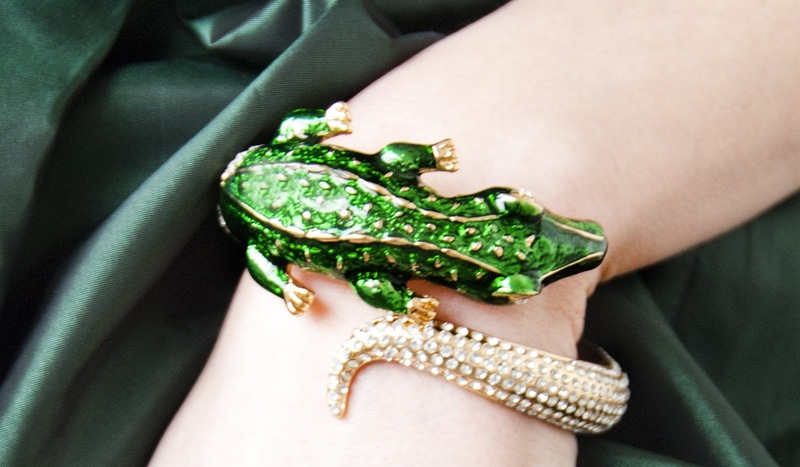 A crocodile bangle with a lot of glamour from the Anna Dello Russo for HM collection. The petticoat from American Apparel puts me into the mood for dancing to songs of Billie Holiday. The highest pair of shoes I own from Bordello. I wish you all a wonderful New Year's Eve ! I do have a little story about this special day just for you: Once, there was a girl, she dreamed of New Year's Eve. She longed to wear an opulent outfit and have her darling take her out to an opulent party with all the luxury in the world. He would hold open the door for her and help her out of her fur cape. They would drink Champagne from crystal glasses and dance tight to the song "I'll be seeing you" from Billie Holiday (just click play on the video at the bottom of the post and you will hear this song while you read). Later, they would watch the fireworks together and kiss each other while saying hello to the new year. They would look deep into each others eyes and promise to love each other forever. I present you the outfit I imagine this girl could wear. It is a mix of new, old and vintage pieces: This beautiful dress I found at HM a few years ago. I think it would be perfect for this occasion with it's elegant emerald green colour. If I combine it with the bolero from Viven of Holloway, I feel dressed well. The white vintage fake fur cape keeps warm and the beautiful hat from Collectif completes the look. Of course I am wearing the highest heels I own to make my legs as long as possible. This Bordello shoes are surprisingly comfortable if you consider their hight. The brooch is a special piece from my beloved friends and fabulous designers Azumi and David from London. They are an incredibly lovely and charming couple and their designs often have a surprising or surreal touch. 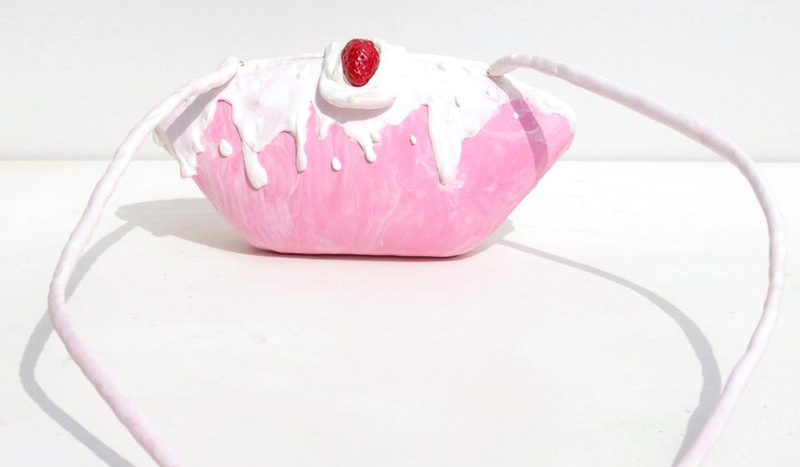 If you ever look for a special handbag, you should have a look at their heeled handbags. The bangle is from the Anna Dello Russo for HM collection to show my adoration for amazing Anna. The necklace is from my mother with a lot more adoration donated to this special woman. I wish the girl in the story was me, but it is not this year. Maybe next year? The beauty of unfulfilled dreams is, you can continue dreaming. Unfortunately I am sick at home. I am glad that we took this pictures already last week, otherwise I wouldn't be able to show you this look. So I go back and hide under my blankets and wish you all the best, have a lot of love and joy this night and in 2013! Thank you for reading my posts and all your lovely comments! Christmas is the time of the angels and as well the opportunity for you to become one! All you need to spread your wings are the right accessories. There is a heavenly touch for every kind of outfit: A winged backpack for your casual outfits (Lostmannequin), an elegant fascinator for going out in the evening (Pearls & Swine), jelly shoes for dancing like a disco angel (Vivienne Westwood for Melissa at Asos) and jewellery for everyday (Ring from Wildfox at Jades24, Necklace from Tatty Devine). As a little girl, I played an angel in the Christmas play at our school. I had long blond hair and my mother curled it for me. My halo was made of golden cardboard and I wore a long white dress (probably made of curtain fabric). Our lovely teacher was the makeup artist and used a lot of glitter and light pink lipstick to finish the look. I always loved to dress up, to act and to sing. Doing all this things while being dressed up as an angel was a lot of excitement for a little girl. This accessories remind me of that moment and give me a warm feeling. I just can't decide which of this wings shall be mine… What do you like best? I seem to have a crush on Spanish designers recently: After introducing Yiddish Chutzpah and her wonderland dresses, I fell in love with another amazing designer from Spain: Palma de Mallorca based artist and designer Ximena Yutronic creates very special shoes and accessories, finding her inspiration in nature. There is no border between art and fashion in her work. Her shoes are like pieces of art and wearable fashion at the same time. Why restrict art to museums and galleries if you can wear sculptures on your feet? 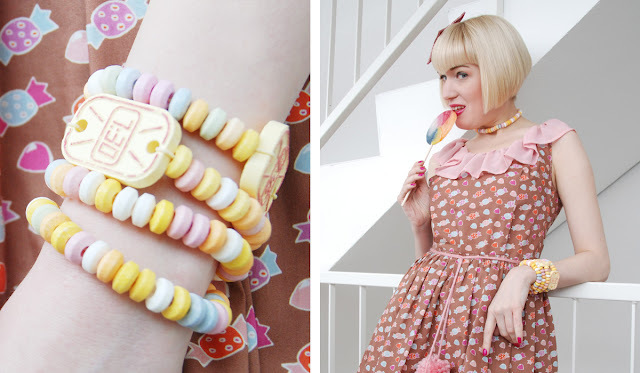 The focus in this post is on the candy inspired pieces from her collection "Sweet Seasons". Ximena creates stunning shoes and handbags all covered in leaves and flower petals worth a look as well. To me, the candy inspired work is the most surprising: At first sight the pieces – looking like covered in sugar – cause irritation. 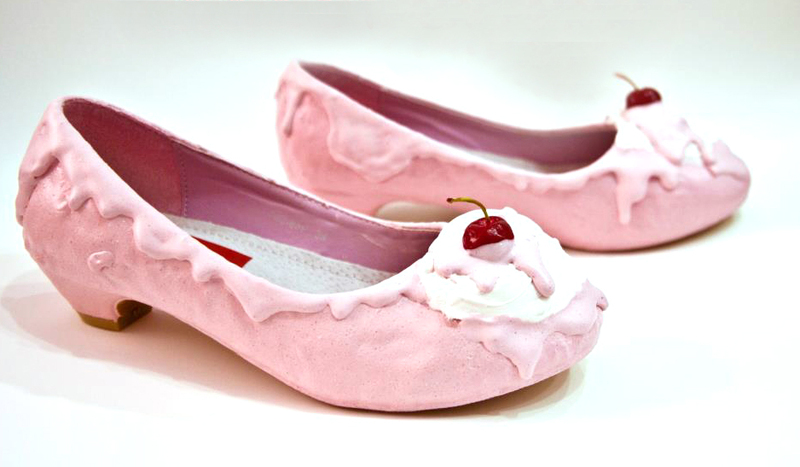 They seem to be made of real chocolate, strawberry ice cream and a mouthwatering sweet cream topping. 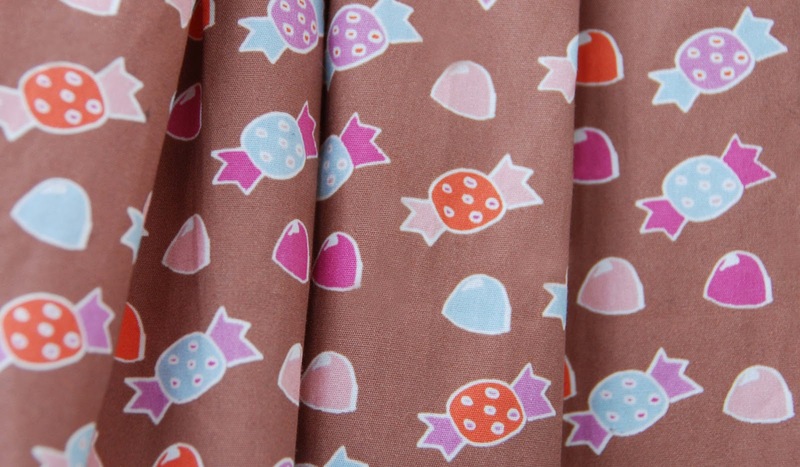 Just at second sight, it's revealed that they are recreations of sweets. Usually desserts have a very short life, they are eaten up quickly or the ice cream melts in the sun. Ximena stops the time and preserves the sweets, turning the dessert into something everlasting. 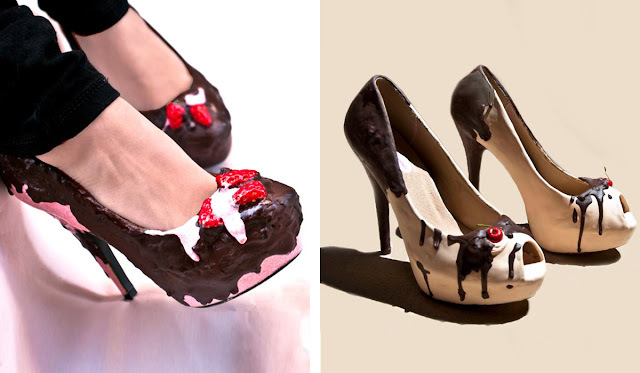 Her work doesn't just leave a sweet taste in your mouth for a second, but causes a sweet feeling in your heart whenever you look at her shoes and accessories again. If you are interested to see more of Ximena Yutronic, please visit her Facebook Page or watch this video to see more of the collection. 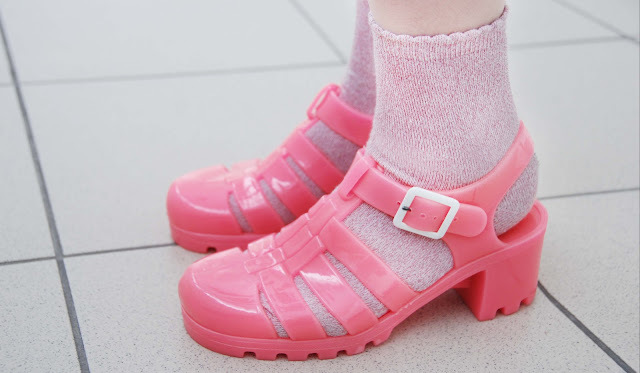 What do you think about this sweet shoes and accessories? To Order: Feel free to contact Ximena Yutronic on Facebook. A white wonderland with just a tiny hint of purple. A cosy collar is a good weapon against the cold. 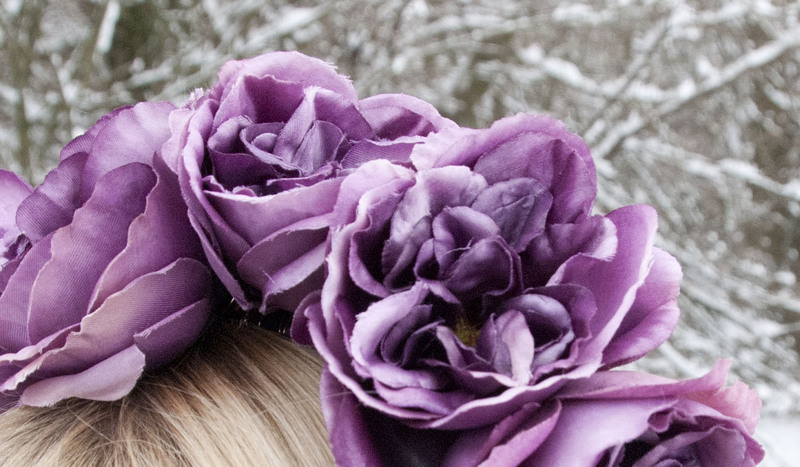 Trying to fill the world with flowers: Purple roses on the crown and preserved flowers in the buttons. Brave little flowers, mocking the ice cold air. What's hidden beneath the coat: Lace, frills and crosses. Gently flattered by fake fur sleeves. No animal was hurt and the game is still in the forest. Snow, you can't stop the mighty creepers! Why do the naked trees always seem to be sad? Why can't I stop missing the sound of the birds and the scent of the flowers? I am here, trying to bring a hint of purple and a couple of blossoms into this white winter world. For this mission, I made myself a big bold flower crown. It already had a few appearances on my head while I was in London. Many daring people asked me to try it on, even some male ones and complete strangers. I never got so many compliments for any other accessory before. If you have ever worn a crown like this, you will understand: Wearing it makes you feel different immediately. You become something between a saint and a queen. You can imagine being Virgin Mary, Frida Kahlo or Cicciolina, whoever inspires you most. My new coat from Collectif enhances that feeling of elegance, my crown gives me. With its cosy fake fur collar I don't even need a scarf. 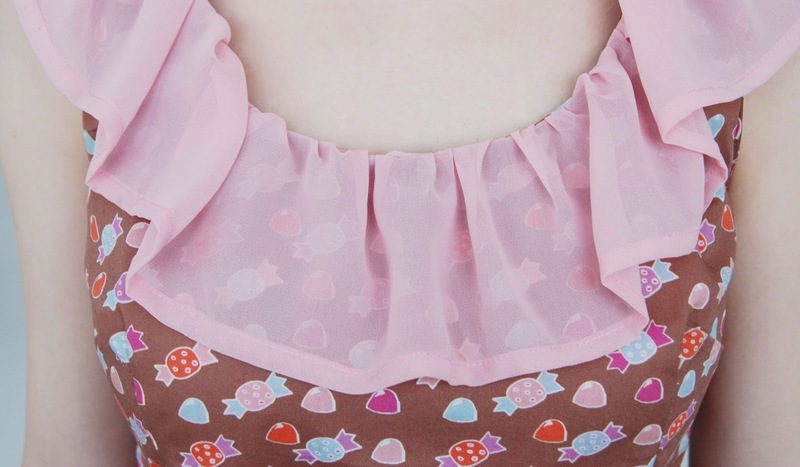 The buttons with the dried flowers inside, are somehow melancholic and romantic at the same time. They are like a little souvenir from past summer to me. Before you ask if I don't get frozen legs, I tell you a little secret: I do layer tights and wear up to three pairs of them on top of each other. Together with the socks, my legs are as comfortable as possible. But even dressed like this, I prefer to hurry inside as soon as possible. If I would be a product and come with a tag, on mine would be written "not for outdoor use" for sure. I always try to get excited about outdoor activities, but to be honest it's more force than joy most of the time. I could sit forever on the sofa with a mug of hot tea, reading a gripping book on the other hand. Being outside is never the goal for me, but just a necessity on my way from A to B and for that I don't need to dress up as a Yeti. I'll be back in a cosy house before my flower crown is covered with snow anyway and I'm sure my brave little flowers appreciate this. How do you like my flower crown and my new coat? Why not going for really sophisticated headgear for Christmas instead of topping your head with stupid reindeer antlers from the fun shop? Even if your dress is rather plain, the right fascinator will turn you into the brightest star of the evening. This is the "not very" Christmas range 2012 from Pearls & Swine. Breathtaking headpieces made for girls who like to dress up, but are maybe a little bit tired of the usual christmas kitsch. 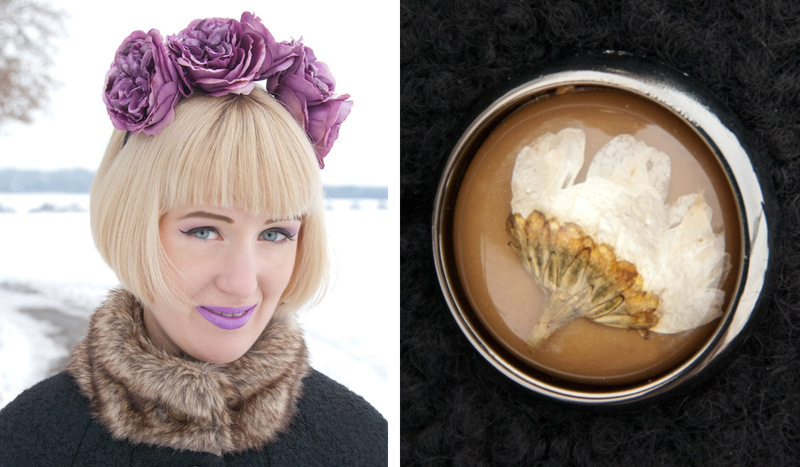 Among the creations full of fantasy, there is a purple bambi waiting for you as well as a pretty red winter rose and a Carmen Miranda inspired fruit hat. It's very hard to decide on a favourite from this range, but I am madly in love with the disco and glitter balls fascinator with the name Space Oddity (shown in the middle). Metallic colours are one of the big things in fashion for spring and that's why I am convinced this one will have a lot of wonderful appearances. I can't stop thinking about how it would look with a pink Maison Martin Margiela for H&M candy clutch (seen in this post) or a metallic trench coat form Burberry Prorsum (seen at Vogue). Another highlight are is the red shoes fascinator, called Dorothy's delight. Which girl doesn't dream of being Dorothy from Wizard of the Oz and having magical glitter shoes? The nice side effect of this range not being christmas themed in a very classical way is, you can easily wear most of the pieces during the whole year. So please dear Santa, bring me the disco balls fascinator, the red shoes fascinator and something beautiful form this range to every other nice girl! 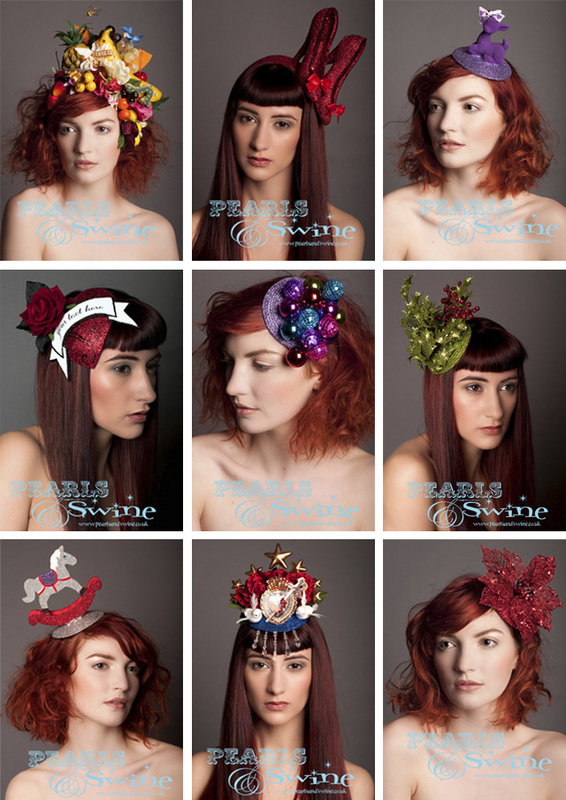 If you can't get enough of this wonderful headwear like me: There is more on the Pearls & Swine page, waiting to be discovered. Which fascinator is the highlight of the Christmas or New Years Eve outfit of your dreams?